Today we started our activities by making a collage of the photos we took yesterday on our 'Bear Hunt' and Ollie also drew a picture of the bear in his cave. 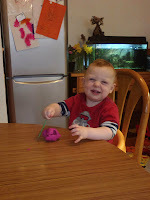 Ollie then asked for the play dough, so we had great fun rolling it, squishing it, marking it with glue spreaders and cutting it with play scissors and cookie cutters. 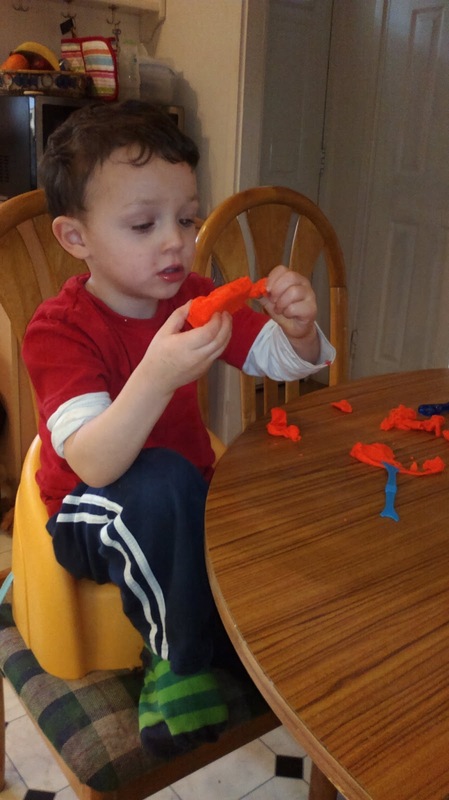 Ollie finds it tricky to cut paper with the blunt play scissors so gets a lot of satisfaction from being able to achieve good cutting with the dough. 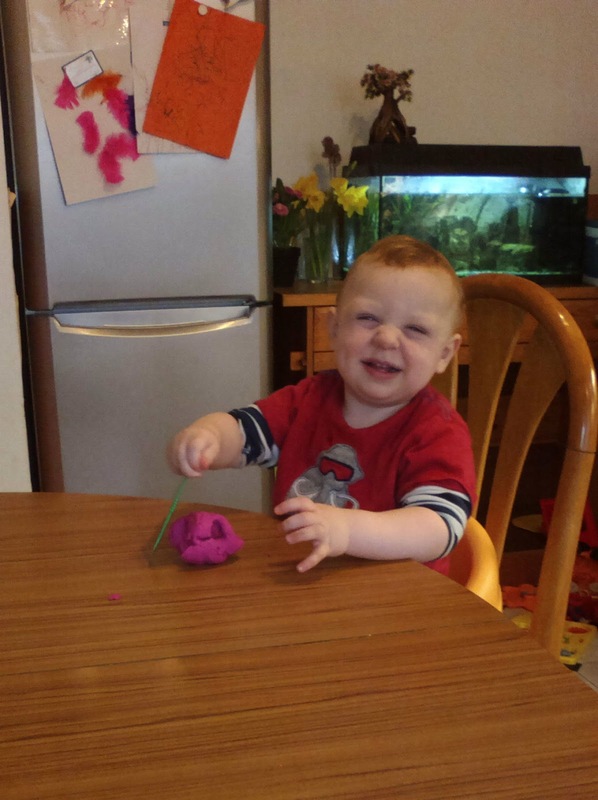 Play dough is easy to make (a quick web search will provide recipes, including gluten-free ones using cornflour) and is a fantastic way of developing your little one's fine motor skills and hand strength.